Is the war really over? That's a good question to ask, following this latest chapter in the Donald Trump/Megyn Kelly/Fox News saga, a media conflagration of the highest order. Here's the situation: during the first GOP presidential debate, Kelly questioned Trump about his history of sexist verbal attacks. Trump was clearly irked, and after the debate, he decided to verbally attack Kelly, necessitating a reportedly stern reconciliation between him and FNC chief Roger Ailes. But now, it sure sounds like tensions are rising: Fox News blasted Trump's "conspiracy theories" about Megyn Kelly on Friday night. Basically, Trump couldn't quite keep his mouth shut about Kelly, even after that reported conversation with Ailes. In an interview with conservative outlet Newsmax, Trump speculated that Kelly's recent vacation from her show was "probably" connected somehow to their dustup. Kelly announced she was leaving her show to take a couple weeks of vacation time with her family on Thursday. So, how did the folks over at Fox News headquarters feel about Trump taking credit for Kelly's time off? When you read the statement that Fox News put out about this (it was received by Mediaite on Friday night), it'll be laid pretty bare — you can practically taste the disdain. The conspiracy theories about Megyn Kelly’s vacation rank up there with UFO's [sic], the moon landing and Elvis being alive. Megyn is on a pre-planned, annual summer vacation with her family, which is much deserved. To imply otherwise as Donald Trump and his campaign operatives have is not only wildly irresponsible, but downright bizarre. 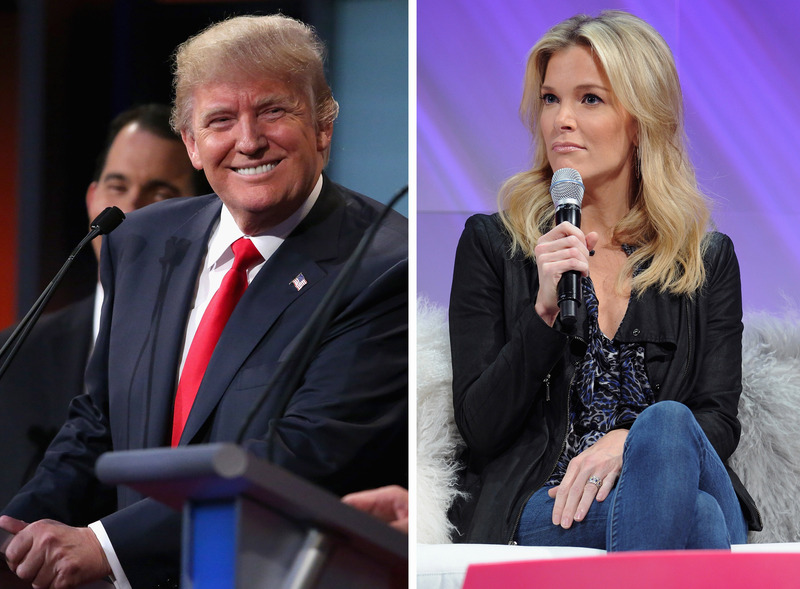 Perhaps Mr. Trump thinks it's advantageous to his poll numbers to keep talking about Megyn, but that doesn’t change the fact that Roger Ailes has fully supported her and her tough journalistic questioning since day one and is thrilled with the added exposure from the debate which resulted in even higher ratings of The Kelly File this week. Anyone who knows Roger is aware of how historically and consistently loyal he is to all of his talent and how he protects them at all costs. As Governor Terry Branstad said today, "When you're a candidate, you've got to basically answer the questions. You can't just attack the person asking the questions. That doesn't work." Well, there you go! If Trump was banking on getting a softer ride from Fox News, which was distinctly tough with him during the first debate, his insistence on talking about Kelly is a really bizarre kind of self-sabotage. At this point, his answer to any question about her ought to be "no comment." And not just because he needs to make nice with the foremost conservative news channel in the country, but because how he acted during and after the debate has proved the point of her question very clearly. It's not a great look to get embroiled in highly public beef with a well-liked broadcaster in most cases, but Trump's ongoing fixation with the idea that Kelly treated him poorly — all while treating her very, very poorly — is really something else.